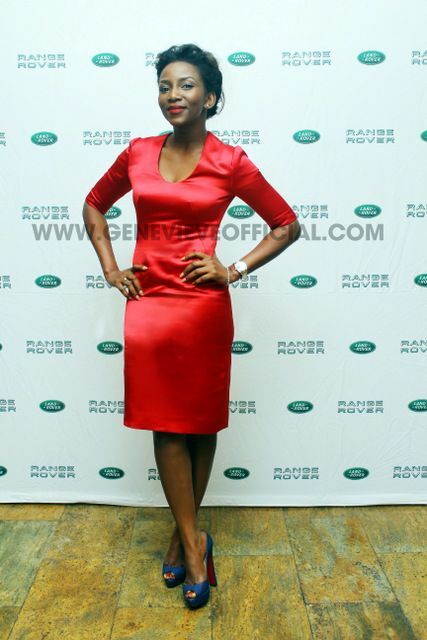 Genevieve Nnaji is dressed in a red dress by Alexander McQueen.What do you think of her look? Is it a Yay or a Nay? 1. 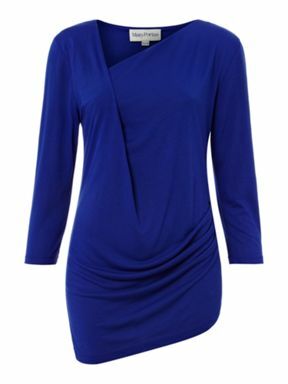 Twist Neck and Tuck Top by Mary Portas: This beautiful ultramarine top is simply beautiful. I love the cowl neckline; it will look really nice with a pair of skinny jeans. It currently goes for £36 at House of Fraser which is a good deal. It was previously sold for £45. 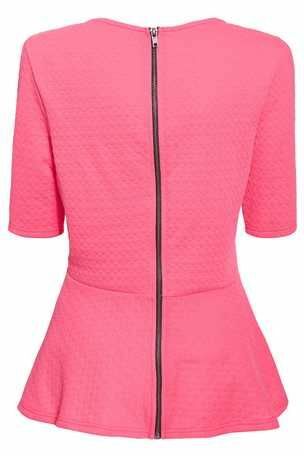 Most sizes are available; buy this beauty at House of Fraser. 2. 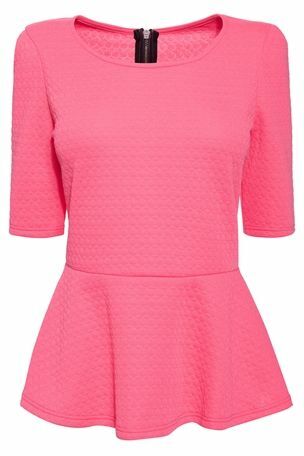 Pink Peplum Top by Next: Here we have a pink peplum top by Next. This is a basic wardrobe essential. I love the colour and the long zip behind. You can wear this with a pencil skirt or a pair of skinny jeans. It currently costs £24 and most sizes are available as well. Grab it at Next. 3. 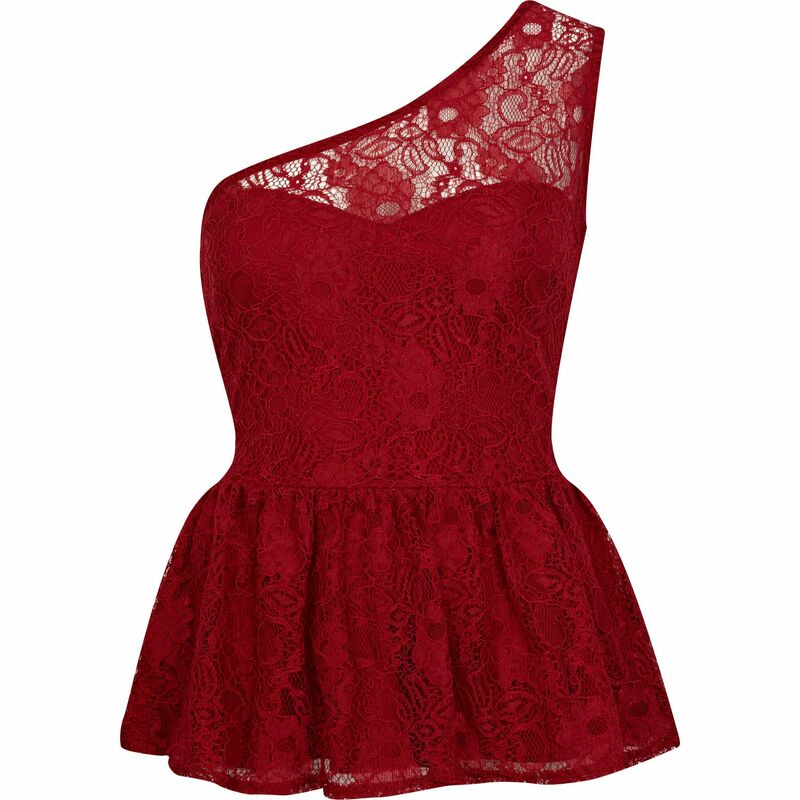 Red Lace One Shoulder Peplum Top: This is one of my favourites on this list. 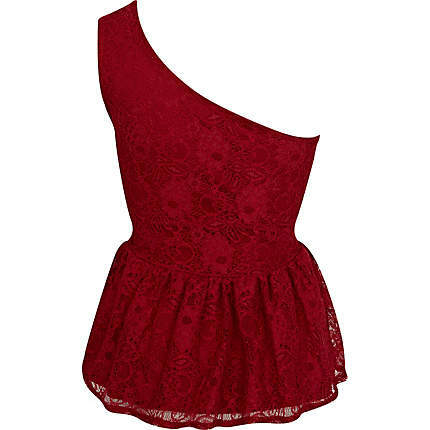 I love the fact that it is made of lace material and designed in a peplum style. Every girl should have this in her wardrobe. It will look good with almost anything. This top currently goes for £25 and most sizes are available. It is a limited edition at River Island so hurry while stock lasts at River Island. 4. 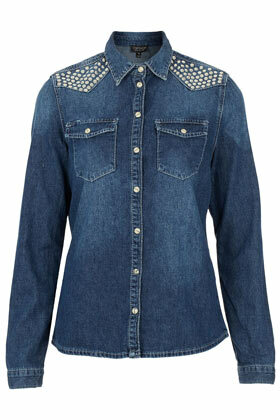 Moto Indigo Stud Denim Shirt by Topshop: I am a huge fan of the denim shirt and I love this particular piece. Check out the stud detailing. You can wear this denim shirt with leggings, jeggings, skinny jeans and even skirts. It currently costs £36 at Topshop. Check it out. 5. Stripe Shell Top by Jane Norman: This shell top is perfect for styling with jeans or a pencil skirt. It currently costs £20 which is a sweet bargain. It comes in black/white and multi blue colours. Grab this new season look now.